Began in 1892; ceased in Dec. 1894. Description based on: Vol. 29, no. 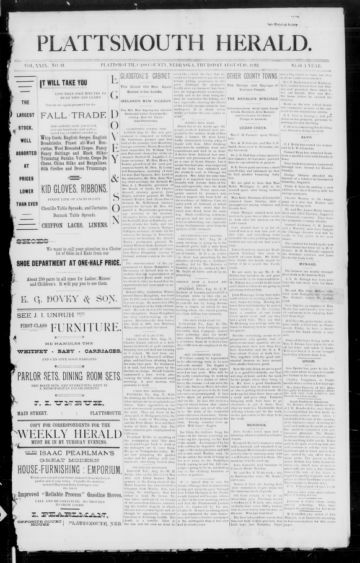 21 (August 18, 1892); title from masthead. Merged with: Semi-weekly news (Plattsmouth, Neb. ), to form: Semi-weekly news-herald. The Plattsmouth daily herald. (Plattsmouth, Nebraska) 1883-19? ?